Telangana Bharatiya Janata Party leader K Laxman has flayed the state government's decision to appoint tennis star Sania Mirza as the brand ambassador of the newly carved-out state, terming her as "daughter-in-law" of Pakistan and questioning her credentials for the honour. 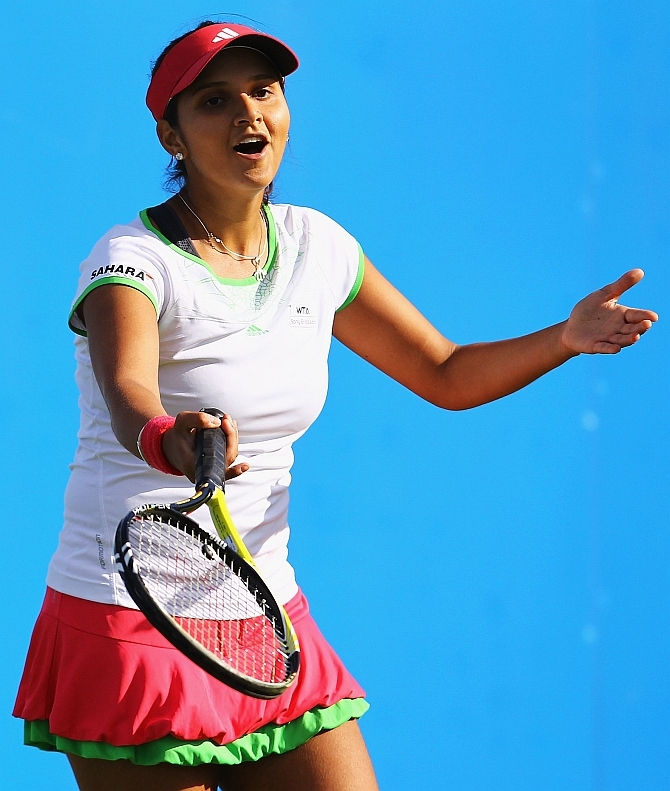 Sania was born in Maharashtra and settled in Hyderabad only later and, hence, is a "non-local," Laxman told reporters in Hyderabad. He sought to dub her as "daughter-in-law" of Pakistan, pointing out that she was married to Shoaib Malik, a Pakistani cricketer. The 27-year-old tennis player had never participated in an agitation for a separate state of Telangana, said Laxman who is the leader of the BJP in the state legislative assembly. He also accused the government of taking the step with an eye on the minority community votes in upcoming elections to the Greater Hyderabad Municipal Corporation. Handing over a grant of Rs 1 crore in Hyderabad on Tuesday, Chief Minister K Chandrasekhar Rao had appointed Sania as brand ambassador of Telangana and described her as a daughter of Hyderabad.